No appointment required for... Nails cut: £6, Feet trimmed £6, both £10. 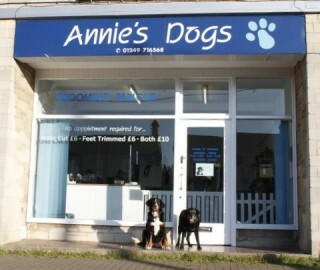 Please feel free to just pop in and check us out (bring your dog too!). We will always be glad to advise on any worries or queries. If we are very busy when phoning please leave a message and we will definitely phone you back as soon as our hands are free!